Charter, purchase, or lease a Cessna Citation Mustang CE-510 with Air Charter Advisors, your source for on-demand private jet charter services around the world. 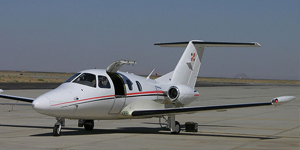 Manufactured by Textron Aviation in Wichita, Kansas, Cessna debuted its Model 510 Mustang at the 2002 NBAA Convention, and was the first very light jet certified by the FAA. The Citation Mustang is the smallest in Cessna’s Citation family of business jets, offering 4 seats in club configuration. 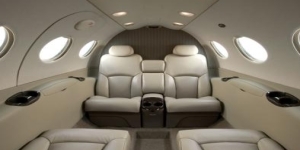 Although it’s a very light jet, passengers don’t need t travel very light as the Mustang provides 57 cubic feet of storage space between the nose and tail baggage compartments, and an additional 6 feet of storage in the cabin. Call our private jet charter brokers at 1-888-987-JETS for charter pricing and availability on the Cessna 510 Citation Mustang. Hourly charter rates on the Cessna CE-510 Citation Mustang start between $2,500-$3,000 an hour*. The CE-510 charter jet is popular for both quick business trips or luxurious getaways. Able to perform on shorter runways and even known icey condiition, Mustangs give executive and luxury travelers a high-degree of flexibility when arranging their private charter flights. 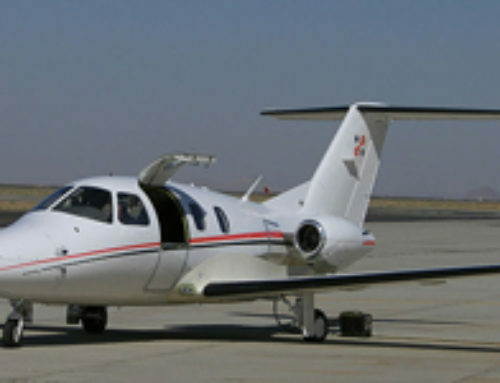 The Cessna Citation Mustang CE-510 an extremely versatile Very Light Jet, seating up to 5 passengers with single pilot configuration, including a lav/potty seat. 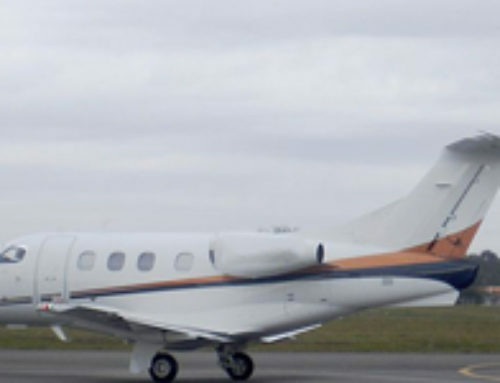 Easily accessing smaller regional airports and one of the only three very light jets (VLJ) in the market. Although the Cessna CE-510 Jet can be flown as a single pilot configuration or with two pilots, The Air Charter Advisors always recommends using a two pilot configuration no matter what may be required, as this can only add safety to your flight. 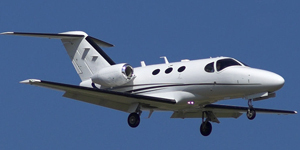 The Cessna Citation Mustang is best utilized for shorter flights, and is one of the most economical private jet aircraft for charter and for sale. 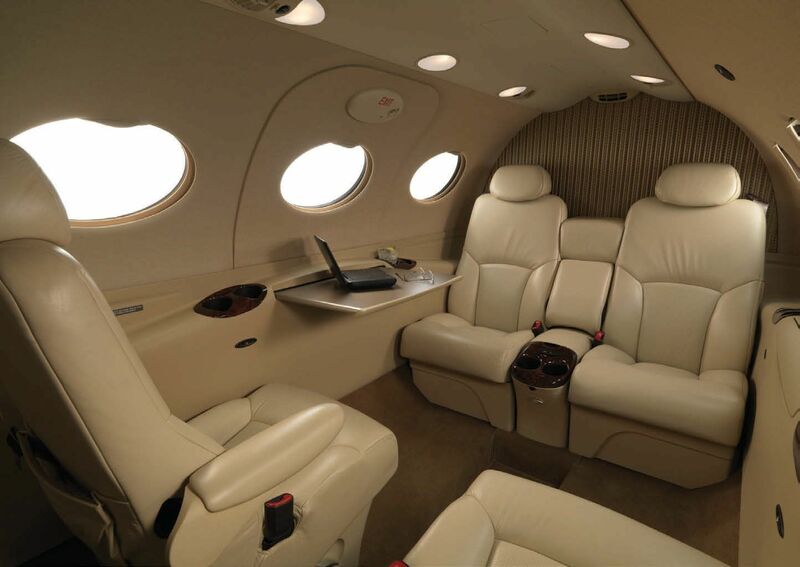 Despite it’s diminutive size, the Citation Mustang features 6 oval windows, all-leather reclinable club seating, and a dropped aisle offer a open, luxurious feeling throughout the cabin. In fact, the interior makes you feel like you’re flying in a high-end sedan more than inside of a compact light jet. The cabin also offers stowable tables 12-volt outlets for business travelers, internal storage space for quick access to small items, and partially enclosed toilet with a potty seat. The Citation Mustang flies at nearly 400mph with a range of over 1,200 nmi thanks to twin Pratt & Whitney Canada PW615F engines with full-authority digital engine controls (FADEC). The Mustang has a service ceiling of 41,000 feet, allowing you to fly over inclement weather, while its slick aerodynamic design – high-aspect-ratio wings, stabilizing T-tail, tricycle retractable landing gear, pneumatic boots – allow the Mustang to fly into icy conditions. The Mustang’s cockpit is equipped with a Garmin G1000 integrated avionics suite, designed to increase pilot awareness while reducing fatigue. Air Charter Advisors offers comprehensive aviation services on the Citation Mustang, from on-demand private jet charter and very light jet cards, to acquisitions/sales and charter marketing & management for VLJ owners. Let us know if you are interested in seeing more pictures or you would like a rate quote. 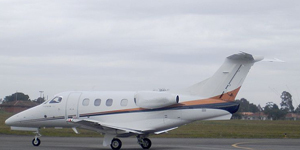 We can also arrange Embraer Phenom 100, Eclipse 500, or Citation CJ1 Jets for charter. 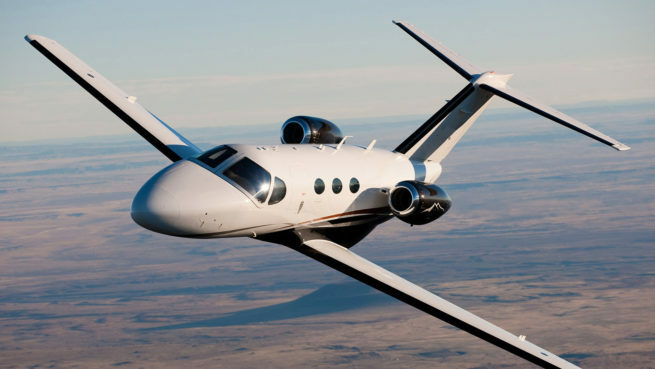 Whether you’re looking to charter, purchase, or sell a Cessna 510 Mustang, submit your request via our contact form, or call our brokers directly at 1-888-987-5387. * Average hourly rates vary depending on make, model and year; amenities, routing and scheduling/availability, and do not include fuel, taxes, crew charges, ramp, hangar, FBO, overnights, daily minimums, taxes, international fees, catering, ground transport, or de-icing. If you would like an accurate quote, please call or email. Pictures are for example only. The age, color, interior layout, hourly rates, specifications, dimensions may all vary between aircraft. All images copyrighted and provided courtesy of Cessna/Textron Inc. unless noted otherwise.